Marriage Records of Botetourt County, 1791-1799 (continued from Volume 11, Number 3); St. John's Lutheran Church Cemetery Survey (continues in next volume); The Borden and Beverly Patents of Orange and Augusta Counties. Virginia Appalachian Notes was published quarterly by the Southwestern Virginia Genealogical Society. 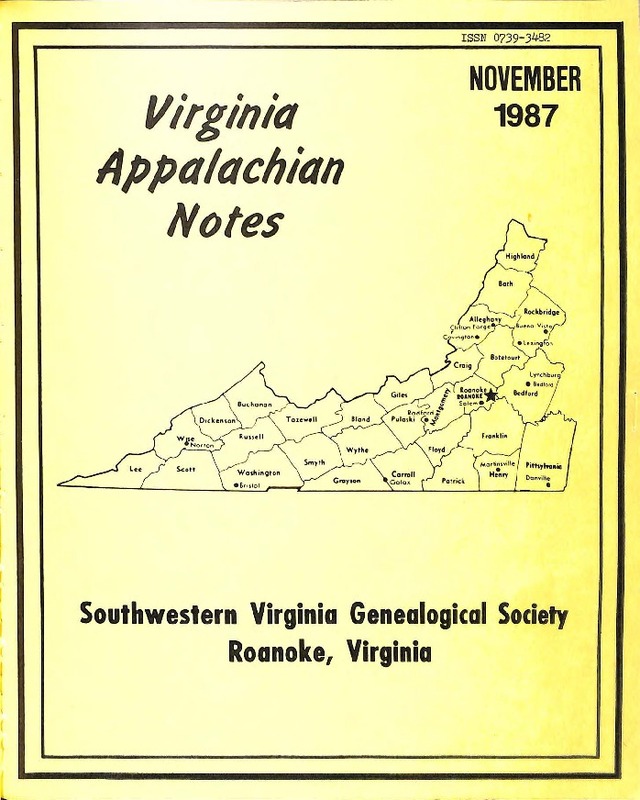 Southwestern Virginia Genealogical Society, “Virginia Appalachian Notes, Volume 11, Number 4,” Virginia Room Digital Collection, accessed April 19, 2019, http://www.virginiaroom.org/digital/document/VANv11n4.